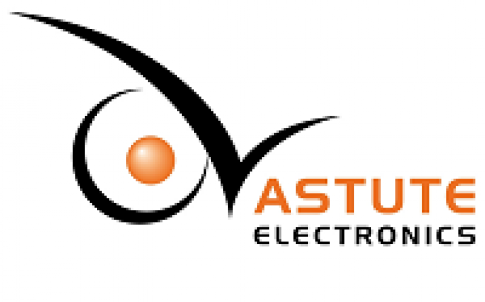 Astute Electronics, the leading supplier of electronic components and value added services, has introduced a range of high temperature oscillators. The Euroquartz high shock resistant SMD oscillators have frequencies of 320kHz to 50MHz (CXOHT), 200kHz to 50MHz (CXOMKHT) and 1MHz to 50MHz (CXOXHT). They can operate from -55 to +200˚C with a stability of 200ppm at the top temperature. At lower temperatures, the stability is even better at 150ppm for +175˚C and 100ppm for +150˚C. Typical specifications at +25˚C include a 3.3 or 5.0V supply voltage, ±10%, and a calibration tolerance of ±50ppm or tighter as required. Typical supply currents for 3.3V are 3.0, 5.0 and 6.0mA for 24, 32 and 50MHz frequency, respectively. The equivalent currents at 5.0V are 8.0, 10.0 and 14.0mA, respectively. Output load is 15pF and the fast start-up time is a maximum of 5ms. Rise and fall time is 10ms maximum. The oscillators have high shock resistance, for example the standard is up to 3000g for 0.3ms, half sine and the HG up to 10,000g for 0.3ms, half sine. Vibration survival figure is 20g, 10 to 2000Hz swept sine. Dimensions of the hermetically sealed packages are 10.29 by 4.83 by 1.6mm (CXOHT), 6.68 by 5.18 by 1.6mm (CXOMKHT) and 3.40 by 2.70 by 1.21mm (CXOXHT). The oscillators are available either tray packed or on tape and reel for more than 250 pieces.